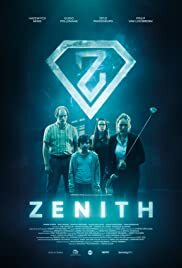 ZENITH tells the story of Fay (14) and Boris (10) who discover that their parents secretly replaced themselves by robots. Claudia and Joost each have demanding jobs and even though they try very hard, they are not able to combine their jobs with spending quality time with their children. When Fay and Boris find out that their parents are not their real parents and that they can control the robots to do whatever they want, the situation gets out of hand. Boris, Fay, Claudia and Joost slowly realize they need each other as a family and when the robots become uncontrollable, they can only clear up the mess by working together.